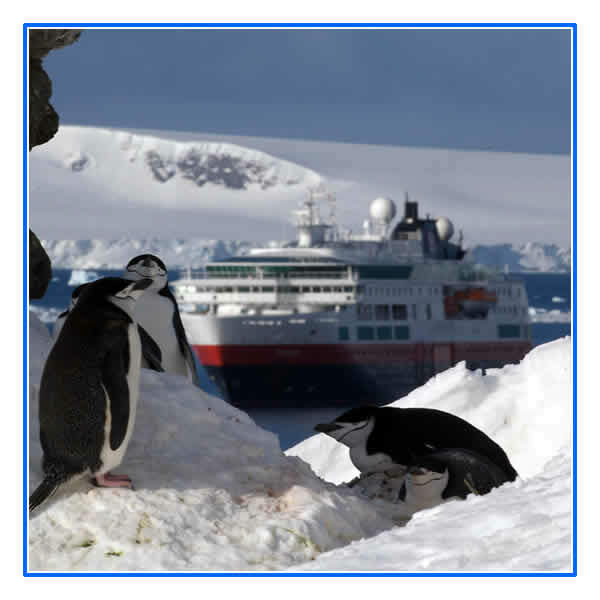 Antarctica Cruises - where reality exceeds expectation. Everything about Antarctica is superlative. The world's coldest, driest, highest, cleanest continent, it leaves an ever-lasting impression on the minds of all visitors. To take an Antarctic Cruise past Cape Horn, across Drake Passage to the peninsula is to join what is still an exclusive group of intrepid travellers inspired by the legacy of Antarctic exploration. Antarctica is the southernmost continent on Earth, and overlies the South Pole. 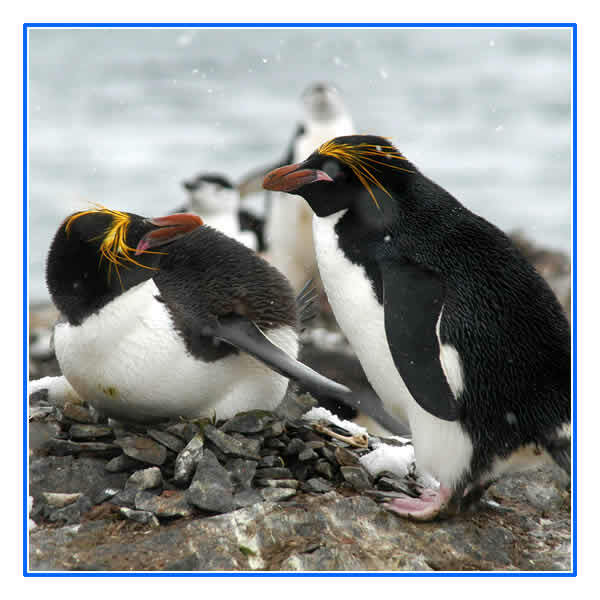 It is situated almost entirely south of the Antarctic Circle, and is surrounded by the Southern Ocean. At 5.4 million square miles (13,661,000 square kilometres), it is the fifth-largest continent in area and is nearly twice the size of Australia. The Antarctic ice sheet is the largest single mass of ice on Earth. In fact, 98% of Antarctica is covered by ice, which averages at least 1.0 mile in thickness and contains thirty million cubic kilometres of ice. Around ninety per cent of the fresh water on the Earth's surface is held in the ice sheet, an amount equivalent to 70 metres of water in the world's oceans. In East Antarctica the ice sheet rests on a major land mass, but in West Antarctica the bed is in places more than 2500 m below sea level. It would be seabed if the ice sheet were not there. Even in summer Antarctic temperatures are below 0°C and so frost and snow crystals that gather on the surface of the ice sheet do not melt away, but build up year-on-year. As these crystals are buried beneath further layers of snow, the weight of the layers above presses them together. Eventually, they are transformed into dense and impermeable glacial ice. Since there is very little precipitation, except around the coasts, the interior of the continent is technically the largest desert in the world. Antarctica is also the driest continent on earth. The amount of precipitation received by the polar plateau is comparable to that falling on the world's hottest deserts. There are no permanent human inhabitants and there is no indication of any existing or primitive indigenous population. Antarctica is the coldest continent on earth. The lowest temperature ever recorded on earth is minus 89.2°C at Vostok, in the Australian Antarctic Territory, in 1983. Antarctica is the windiest continent on earth. Winds flow down the coastal slopes under the influence of gravity. The speeds of these Katabatic winds have been measured at over 320 kilometres per hour. Antarctica is the highest continent on earth with an average height of 2500 meters (average elevation of Australia is only 340 meters). The height of the South Pole is 2835 meters. The highest point on the icecap is in Australian Antarctic Territory, at 4100 meters. Vinson Massif is the highest mountain in Antarctica, at 4897 meters. Incredibly abundant in fauna, the southern ocean is a ceaseless struggle of survival and stealth. 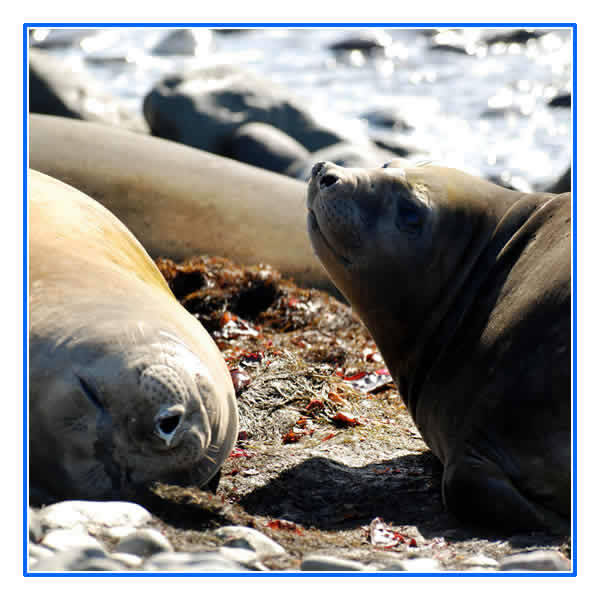 Minke whales, leopard and fur seals, several species of penguin and huge flocks of seabirds - including the wandering albatross - give life to this surreally beautiful landscape. When you manage to tear your eyes away from the wildlife, the glaciers and icebergs extend an equally enthralling sight. From your Antarctic cruise ship's bow, every view is a photographer's dream and the long summer day means there is plenty of time to take it all in. Excursions by Polar Cirkel boats allow you to get close to the vast communities of king, adélie, gentoo and chinstrap penguins.